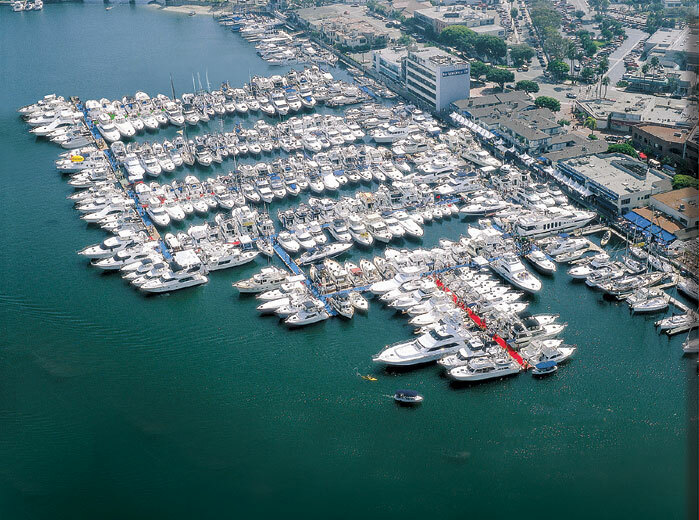 NEWPORT BEACH — More than 250 big boats and yachts are scheduled to be displayed in the water — ready for show-goers to step aboard and inspect — at the 34th annual Lido Yacht Expo, Sept. 27-30 at Lido Marina Village. The exhibition — the West’s biggest in-water boat show — will give boaters their first look at new 2013 yacht models, and it will present more large yachts than any other show in the Western U.S. Show-goers can step aboard and compare the unique features of many 65- to 100-foot-plus luxury motoryachts, plus a wide selection 35-foot and larger pleasurecraft — including both powerboats and sailboats — and everything from sportfishers, family cruisers and sport yachts to trawlers and long-range expedition-ready cruising yachts. Along with brand-new and ocean-tested brokerage boats in the water, attendees will find the latest must-have boating gear, accessories, electronics, marine engines and services on display shoreside. Marine lenders and insurers will be on hand at the show, ready to help finance and insure each purchase. Show hours are noon-7 p.m. Thursday, 10 a.m.-7 p.m. Friday and Saturday, and 10 a.m.-5 p.m. Sunday. Admission is $15 for adults; free for children 12 and younger. Admission includes access to free offsite parking and a continuous shuttle service. The Lido Yacht Expo is produced by the Duncan McIntosh Co. Inc., publisher of The Log Newspaper, FishRap, Sea Magazine, Boating World and Editor and Publisher, and producer of the Newport Boat Show. Visit lidoyachtexpo.com for more information, or call (949) 757-5959.